Extrusion moulding is a common manufacturing process that shapes materials with the help of a rigid frame called a pattern. The process involves the forcing out, or extruding, of materials through a die in order to create tube-shaped objects. The process starts off with raw plastic materials which are formed at high volumes and using heat. Extrusion moulding is suitable for materials such as nylon, PVC (both rigid and flexible) ABS, elastomers and more. Extrusion moulding is used to create products with a consistent cross-section. This process is used to make items such as weather stripping, fencing, PVC pipes and gutters. 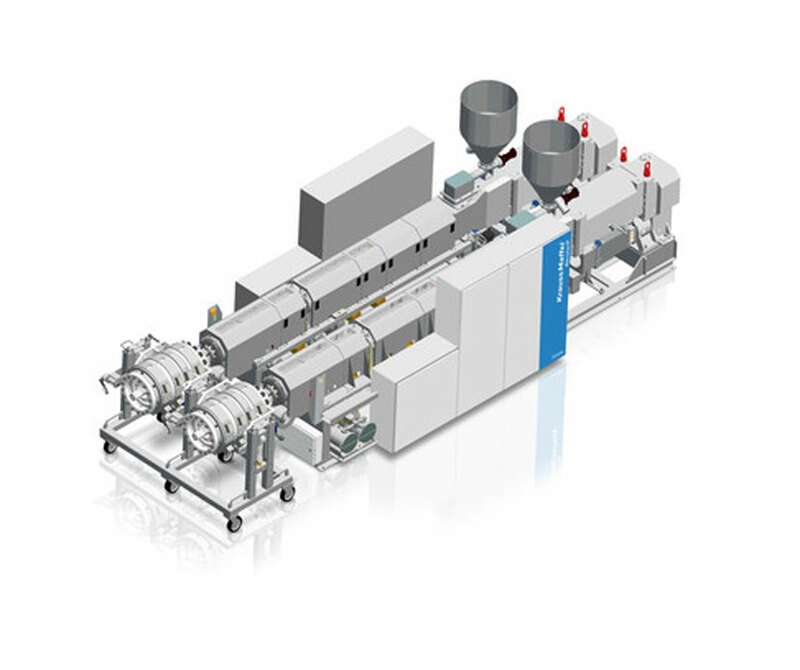 Plastic products can be produced quickly and at a high volume, ensuring cost-efficiency and speed. Extrusion moulding is relatively inexpensive compared to other moulding processes. Leftover materials can be used, reducing waste and costs while extrusion machinery can operate continuously, allowing for a 24 hours-a-day manufacturing period. Extrusion moulding allows considerable flexibility in the manufacturing of products with a consistent cross-section. A variation on the extrusion moulding process also allows for products that mix plastic attributes. The plastic materials remain warm after the process is complete, allowing for post-extrusion manipulations. Rollers, shoes and die can be used in order to alter the product while it is still warm. This process places certain limits on the types of products that can be produced. Plastic soda bottles, for instance, cannot be produced as the shape narrows at one end, which one cannot achieve with standard extrusion moulding machinery. While alternatives, such as blow moulding exist, they require additional investment. As the plastic material exits the machinery, it frequently expands due to heat. It is difficult to predict the exact degree of expansion as the expansion is influenced by various factors in the process, meaning that manufacturers must often accept deviations from the standard product dimensions or tolerance.